The Bermuda National Team took on visiting Widener University at the National Sports Center. 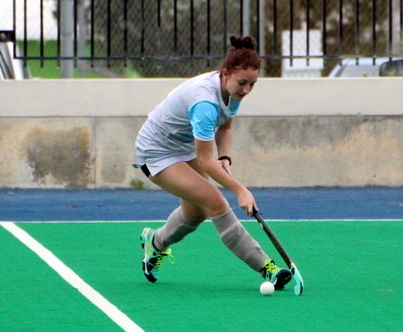 In their second game on Tour Widener University went down 3 – 1. Bermuda would take the lead in the 24th minute when Georgia Harris scored a Field Goal, Bermuda would take that lead to the break. Bermuda would double their lead in the 41st minute when Francesca Cacace scored a Field Goal and when Chrysda Smith scored a Field Goal in the 60th minute it extended the Bermuda lead to 3 – 0, but in the 70th Widener University would get on the board with Anna Dunn scoring a Field Goal.